I never got around to showcasing my fall hair regime, and although there's only 18 days left, here are my staple haircare products for winter. The combined of all these products have kept my hair moisturized, shiny, frizz, and static free, as well as premium condition during the colder season. The packaging of the Chi Farouk Royal line reminds me of giant chess pieces. 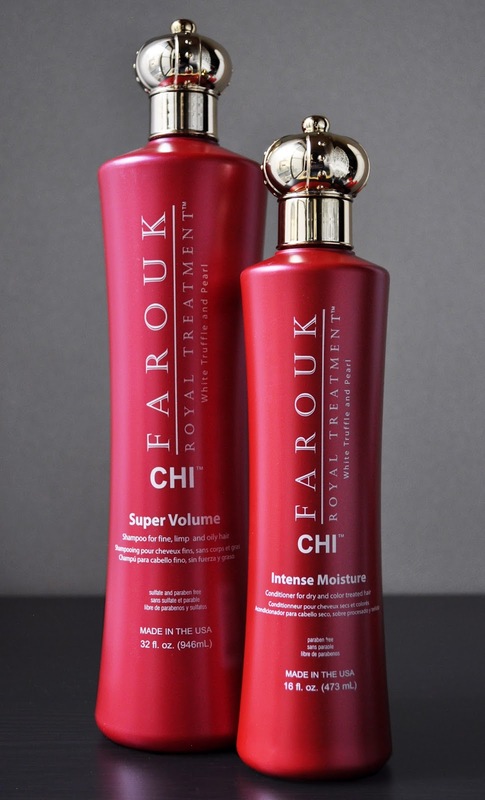 Chi Farouk Royal Treatment Super Volume Shampoo: again, since my move to Japan, this dry-haired girl has been plagued with an oily scalp. 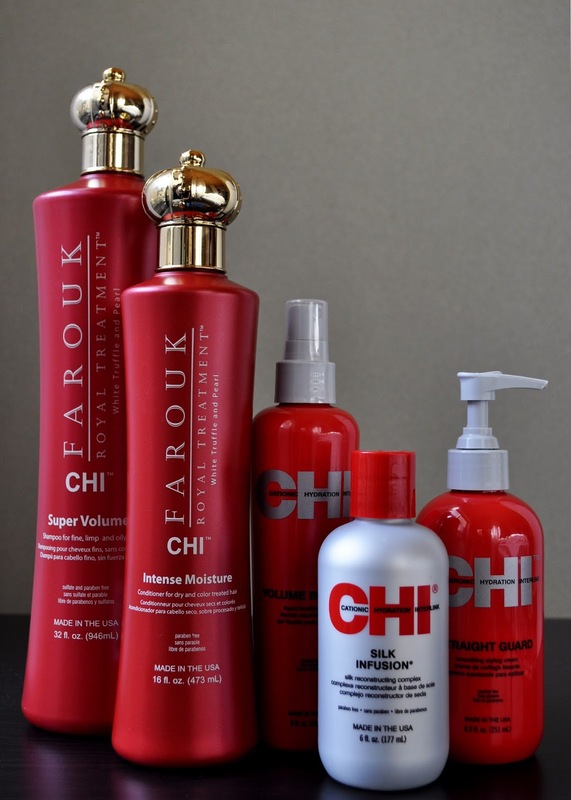 To combat this, enter in Chi's Farouk Royal Treatment Super Volume Shampoo. The shampoo lathers exceptionally well, so only a small amount is needed. After two shampoos, my scalp and hair is left feeling soft and clean, with added shine. I usually wash my hair every other day, but the extra bounce, lift, and volume the shampoo gives my hair enable me to extend the amount of days (sometimes four days) between blow outs. 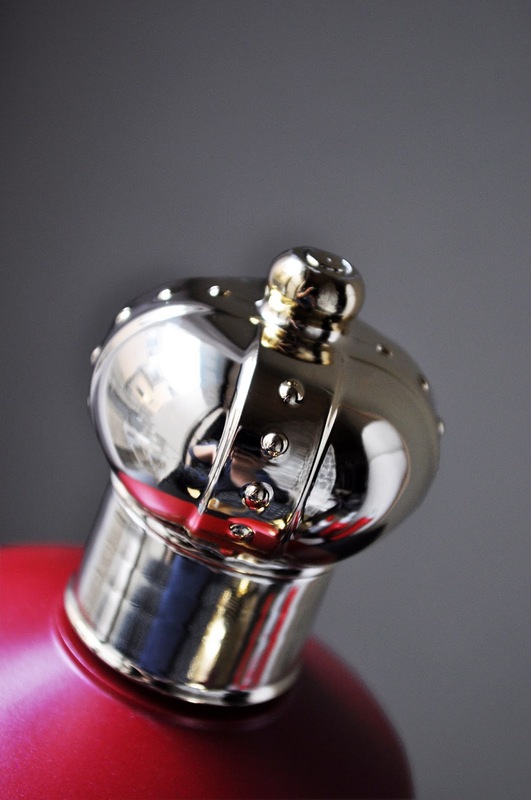 Also, the Farouk Royal Treatment line smells DIVINE! I can't describe it, but it's a rich, seductive, sultry, spicy, woodsy, berry fragrance that last until the next wash.
Chi Farouk Royal Treatment Intense Moisture Conditioner: The Intense Moisture Conditioner shares the same luscious scent as the Super Volume Shampoo. As with all conditioners I use, I apply it to the mid-lengths of my hair to the ends, leaving it on for 5-10 minutes (during which time I give my best A Capella performances). Formulated with White Truffle, Pearl and Vitamin B, the Intense Moisture conditioner leaves my hair tangle-free, soft, and hydrated. All three of these products have this masculine fragrance that I find extremely desirable. 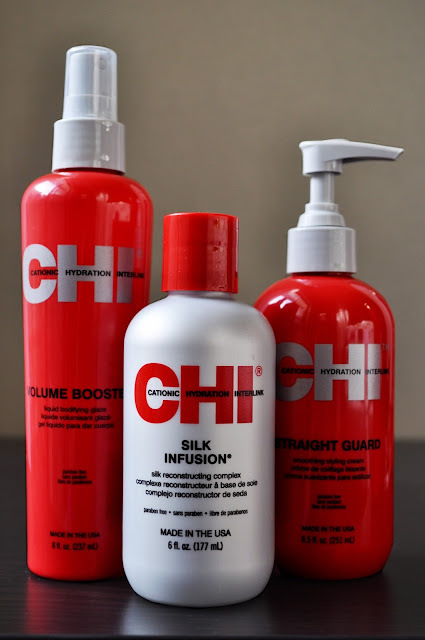 Chi Straight Guard Smoothing Styling Cream: I apply two pumps of the Straight Guard Smoothing Styling Cream (along with the Silk Infusion Silk Reconstructing Complex) from the mid-length of my hair to the ends. Featuring an easy brush-glide formula, this conditioner allows my jumbo round brush to comb through my hair, easily, while blow drying. Afterwards, my hair is manageable, silky-smooth, frizz-free, and lustrous, without being weighed down. Chi Silk Infusion Silk Reconstructing Complex: I like to eyeball it, and mix this with the Straight Guard Smoothing Styling Cream, to protect my hair against damage from thermal styling. The combination of these two products is golden, but even of it's own, the Silk Infusion Silk Reconstructing Complex is stellar; it smooths, nourishes, softens, tames frizzes, fly-aways as well as evil winter static. Although not prescribed, I like to apply a tiny amount to the mid-length of my hair and ends after blow-drying because I love how shiny and great it make my hair smell. Chi Volume Booster Liquid Bodifying Glaze: I'm not a fan of dry shampoos. Therefore, I use liquid volumizing sprays like this one to give my roots a boost on the second, third, and, sometimes, fourth day between washes. I still adore the Shiseido Professional The Hair Care Adenovital Root Spray. However, it's an industrious root lifting product, and after use, I'm not able to pass my round brush through my hair. As a result, I use it when I'm going to wash my hair the next day. On the second and/or third day, I section off the front of my hair (dry), use one spray on each side of the section, and blow dry. I really enjoy how flexible this spray is. It never gets sticky, stiff, hard, crunchy, etc. Thus, allowing for next day use with no buildup. The Volume Booster has a fantastic, lightweight formula that adds a considerable amount of lift and volume to my roots, while maintaining and possibly adding shine.